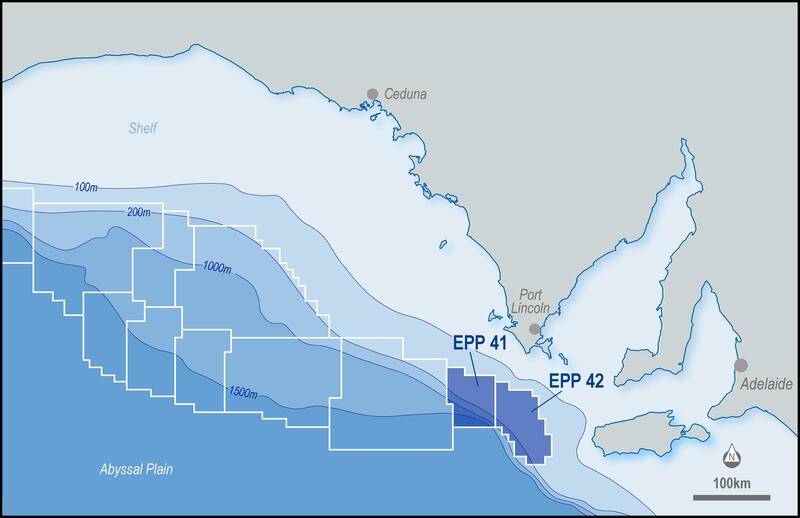 Bight Petroleum entered the Great Australian Bight in July 2011 and is currently 100% equity owner in two exploration permits, EPP 41 and EPP 42. The two licenses comprise approximately 8,500 square kilometers of acreage and lie within Australia’s most prospective frontier exploration province, the Duntroon Sub-Basin, within the Great Australian Bight. The Duntroon Sub-Basin hosts one of the world’s last under-explored late Cretaceous basins with water depths ranging between 120m and 1600m. The geology, and the prospective potential in both shallow and deeper water environments, make these blocks high impact exploration candidates within easy reach of the South Australia coast and existing infrastructures. Bight Petroleum’s initial commitment term consists of acquiring 1,031 square kilometers of 3D seismic over the permit area. The proposed 3D program will cover both shallow and deep water prospective targets and will allow Bight Petroleum to further assess the overall prospectivity of these blocks. Currently Bight Petroleum is preparing for 3D seismic operations, in consultation with relevant stakeholders and under regulatory oversight. Bight’s permits are on trend with Karoon Gas, Statoil, Murphy and Santos, and cover both shallow and deep water environments. Multiple targets and stacked reservoirs have been proven by historical drilling on the permits. A working petroleum system is supported by the Greenly-1 well which has stacked oil and gas shows, and by several DHIs on the existing 2D seismic data. The permits are close to shore and infrastructure that would allow quick tie into ready markets.